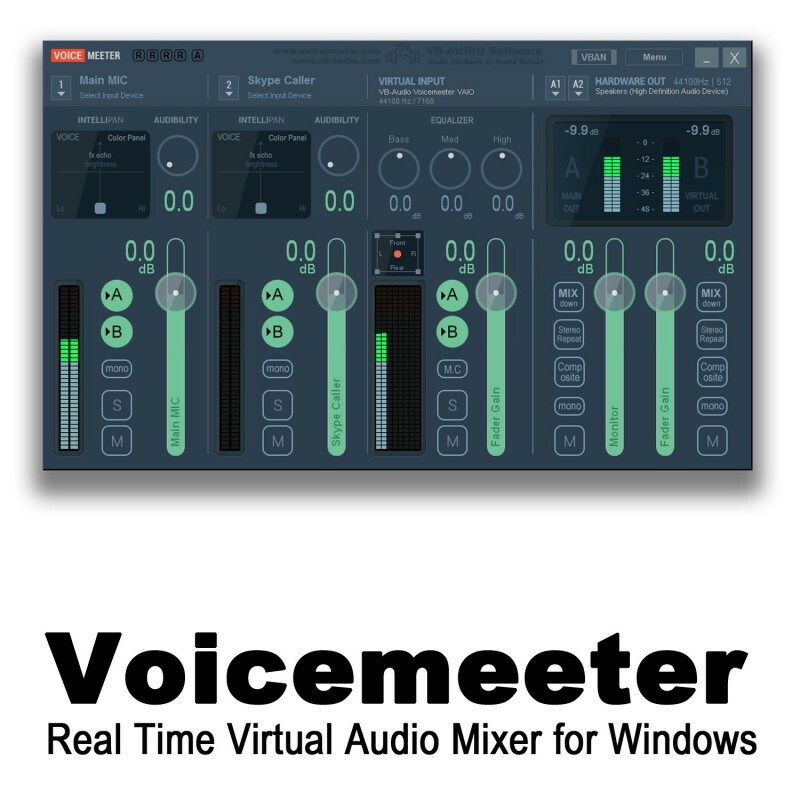 Voicemeeter is a Virtual Audio Device Mixer able to manage any audio sources on Windows PC; Audio coming from physical inputs (e.g. Microphone) as well as audio coming from any applications (including Audio Pro ASIO Applications). This offers possibilities to mix your voice with your music player, browser, webradio, video game, and with the sound coming from any audio DAW like Cubase, Ableton Live or Protools (possibly in the same time) for Skype-call or any VOIP / recording workflow. Voicemeeter is distributed as donationware, it means you can install and test it first and pay your license by adjusting the price to your means or usage. Thanks for your participation!